This is a new Japanese word and there seems to be no good and simple translation in English. 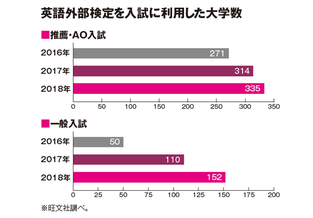 Gaiken Nyushi can be translated into a university (college) entrance examination using the external English proficiency test such as Eiken, TOEFL, TOEIC and others. This Gaiken Nyushi has been reported to have a big merit for examination takers (high school students) so that more and more universities or colleges are rapidly introducing Gaiken Nyushi. Universities or colleges also have the merit of making use of the external English proficiency test because it is almost impossible for them to evaluate the four English language skills of very many test-takers’ on the only one test in a day. 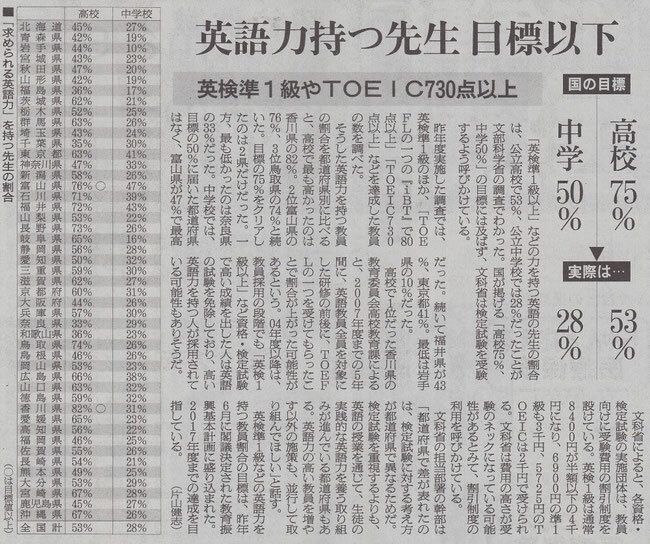 The remaining problem is that the 4 skills of English teachers’ at the junior and senior high schools in Japan are too low as the newspaper article shows.